This place is very good value for money. 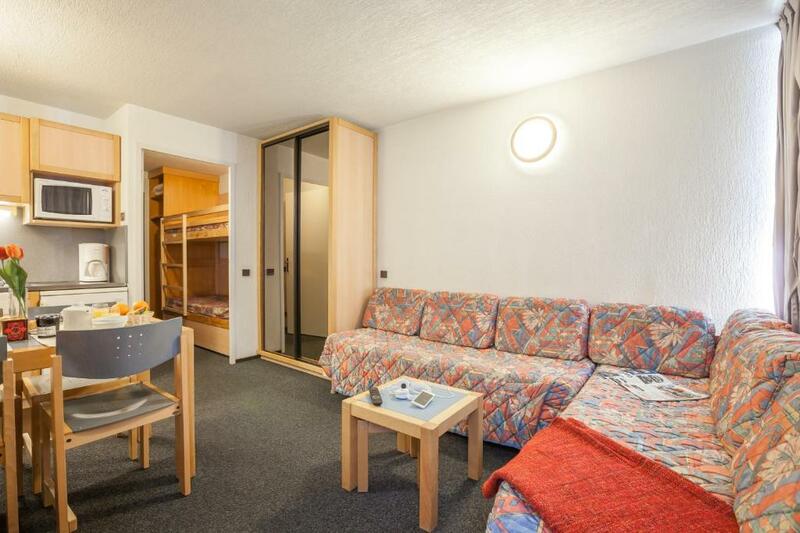 Yes the studio rooms are small, but that doesn't really matter, because there is a good lounge room down stairs, and they have a sauna, swimming pool, a games room etc. OK hotel, great slopes, not far from lifts. Friendly personnel, easy check-in / check-out, ski room is a plus. There is a third-party company that can bring croissants (and other pastry) under you door every morning -- we used it and enjoyed a lot. The staff were helpful and it was great to have the swimming pool and sauna. The building was quiet but there were not many people there so it may be different at a busier time. Very unhappy, would not cancel as I wanted to change weeks, took full amount with no flexibility. Location and price. 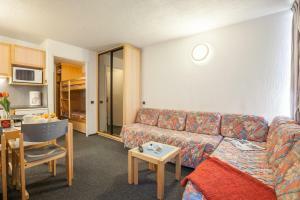 The standard of this accommodation is okay, the small sized room had all the kitchen facilities you would need. It is okay value, so don't expect too much. Great location. The apartments were clean. The beds were fine. The kids loved the bunks. The kids loved the pool and the sauna. The ski lockers were great. Good access to the bus and the car park (paid one). The staff were really helpful. Excellent location with the slopes a short walk away and bus stop right outside. Very friendly and helpful staff especially if arriving outside of check in times. Swimming pool and sauna were never too busy. Friendly staff, rooms clean and everything you need. They upgraded us to a bigger room so we wouldn’t be disturbed as there were students staying. Schöne Aussicht vom Südwestbalkon auf die Bergwelt. Fußweg in das Geschäftszentrum akzeptabel. Weg zu den Skiliften ist zu weit als Fußmarsch. Hier hilft nur der Skibus mit Haltestelle vor dem Gebäude. Haustechnik und Aufzüge haben zuverlässig funktioniert. Hallenbad war auch in Ordnung. 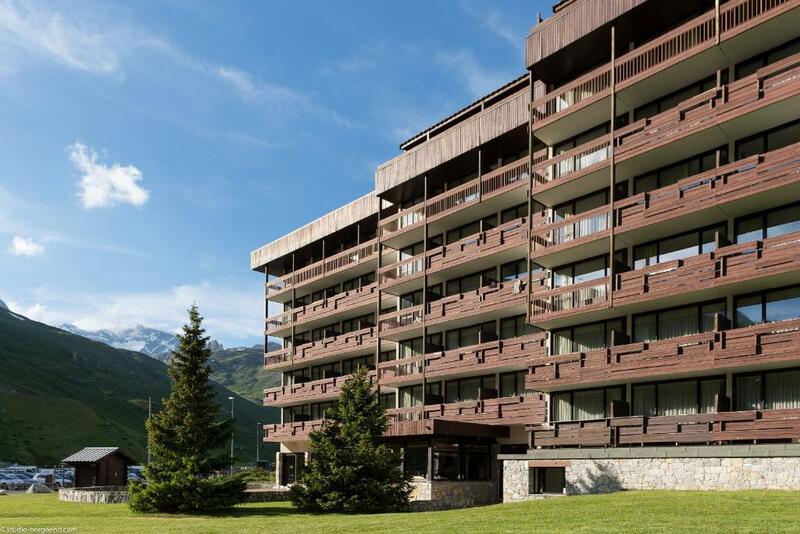 One of our top picks in Tignes.Located 6,562 feet high in Tignes, this residence is 650 feet from the center of the ski resort. 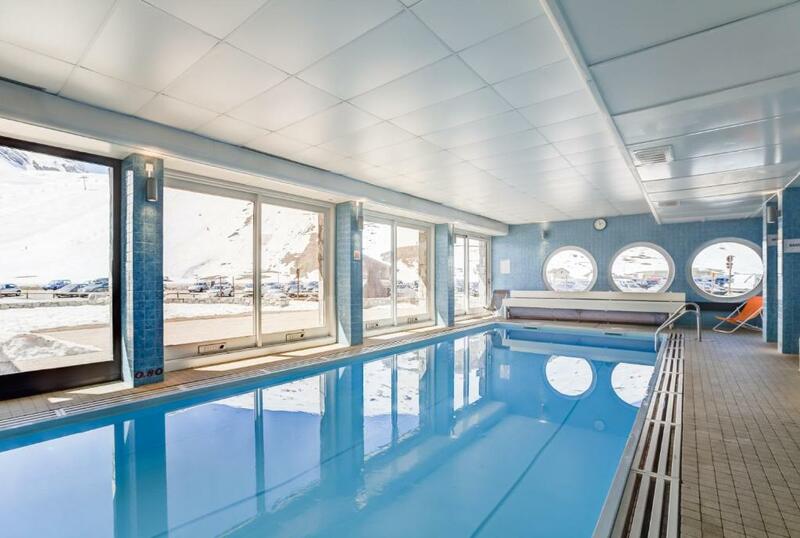 It offers an indoor swimming pool, a sauna and ski storage facilities. A private balcony and a living area with a TV are standard facilities in the studios at Résidence Pierre & Vacances Inter-Résidences. They are decorated in a contemporary style and also have a vacuum cleaner. There is a shopping delivery service available at an additional cost. Additional facilities at the residence include a small library and a tennis court. A ski shuttle bus runs in the area. Val Claret is a great choice for travelers interested in downhill skiing, sports and winter sports. When would you like to stay at Résidence Pierre & Vacances Inter-Résidences? 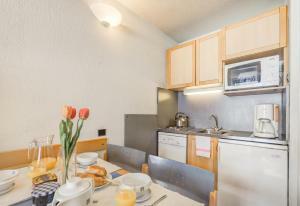 A private balcony and a kitchenette with a microwave are offered in the accommodations. This studio has Sunday check-in. A kitchenette with a microwave are offered in the accommodations. 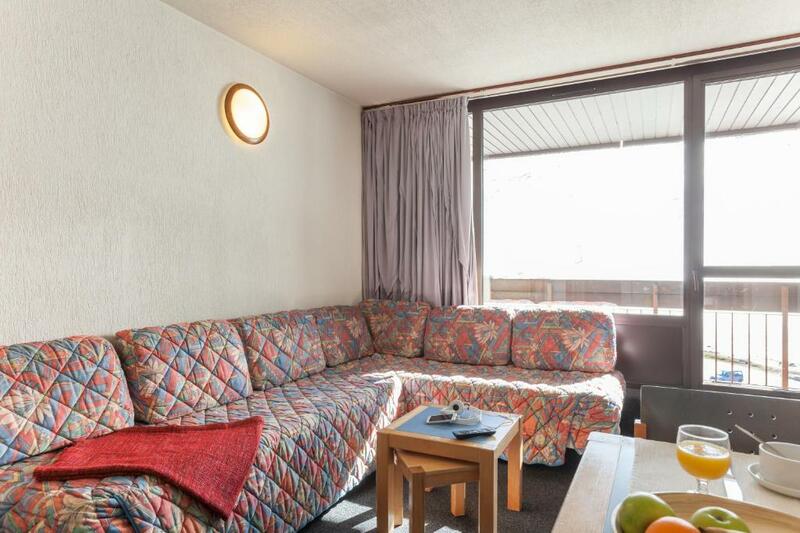 This quadruple room features a balcony, kitchenware and dishwasher. Area Info – This neighborhood is a great choice for travelers interested in downhill skiing, sports and winter sports – Check location Good location – show map Guests loved walking around the neighborhood! House Rules Résidence Pierre & Vacances Inter-Résidences takes special requests – add in the next step! Résidence Pierre &amp; Vacances Inter-Résidences accepts these cards and reserves the right to temporarily hold an amount prior to arrival. Résidence Pierre & Vacances Inter-Résidences accepts these cards and reserves the right to temporarily hold an amount prior to arrival. A guarantee deposit of EUR 200 to EUR 500 per apartment will be charged on the day of arrival and should be paid by check or credit card. Please note that board games are available on site. Please inform Résidence Pierre & Vacances Inter-Résidences of your expected arrival time in advance. You can use the Special Requests box when booking, or contact the property directly using the contact details in your confirmation. A damage deposit of EUR 200 is required on arrival. That's about 224.14USD. This will be collected by credit card. You should be reimbursed on check-out. Your deposit will be refunded in full by credit card, subject to an inspection of the property. nothing in particular really for that price, it's all fine! Rooms are very small also furnishings were really run down the curtains were horrible. Beds were very very hard. Didn't sleep well. In the Kitchen the only power socket was directly over the sink all cables had to pass over the sink. The room was very small -- fold out the bed and you can't put chairs around the table. Only three electric outlets for the whole room -- if you want to charge phones/cameras/radios, you have to unplug the TV set and the kettle. Not too near ski lifts, but there is a bus stop nearby. Such a horrible experience I would not recommend to anybody. I had to request to move room immediately when I arrived because our initial room smelled of faeces. Our new room was slightly better, but appears a lot smaller than the pictures online, you will not comfortably fit 3 people. There is a hidden cleaning fee of 40 euro unless you clean, take out the rubbish, hoover even spray and rub the fridge something which you are not notified of at any time prior to your stay - you are asked to leave the room in a clean condition. The check out time is between 7-10am but be prepared for the staff to knock at your door numerous times prior to 10am even asking for the linen off your bed, I was informed by the reception staff that this is common practice - I worked in serviced apartments for 5 years and this is not common practice, if a customer is paying to stay in a room until a particular time ( the advertised time) you do not disturb them until after. Finally, the level of cleanliness was so bad that 2 of our guests got a horrendous bug for 2 days of our stay from using the cutlery which was probably only rinsed by the guests prior to us, this meant that we were unable to ski for almost half our trip. The room was tiny- smaller the photo suggested which meant with a younger child you all had to go to bed at the same time but having the communal space made up for this a bit. Better Wi-Fi, cleanliness of the swimming pool. Ski lockers are quite small, ok space for 2 sets of boots and skis but would struggle to fit a third in. Hair dryer in the room not hugely powerful but effective nonetheless.